Dynetics has promoted Kim Doering, Mike Durboraw and Keith McCollum to vice president roles to lead the company’s space systems, intelligence and spectrum warfare, and systems technologies divisions. Doering, a three-decade aerospace veteran, will serve as VP of space systems division with oversight on space programs for NASA, Defense Department and commercial clients, the company said Wednesday. She joined Dynetics in 2012 from United Space Alliance, where she served as VP of business development and Huntsville site manager. 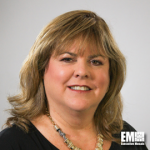 Doering spent 13 years at NASA, where she served as deputy manager of the Space Shuttle Program, and prior to that she worked as an aerospace engineer at Booz Allen Hamilton (NYSE: BAH), Rockwell International and Hernandez Engineering. Durboraw, a 27-year weapons systems technology professional, will oversee work related to foreign weapons systems as VP and manager of Dynetics’ intelligence and spectrum warfare division. 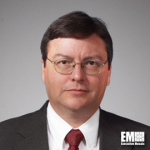 He came to Dynetics in 1998 and since then has held management positions and collaborated with government clients on the Threat Modeling and Analysis Program and Joint Research Analysis and Assessment Center. 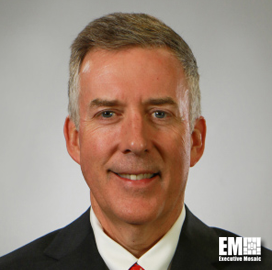 McCollum will serve as VP and manager of the integrated systems technologies division that focuses on radar systems, cyber, electronic warfare and modeling and simulation. He joined Dynetics in 1990 and has held several roles such as manager of the systems engineering and integration department, chief engineer of the strategic programs division and subject matter expert for the missile defense national team.